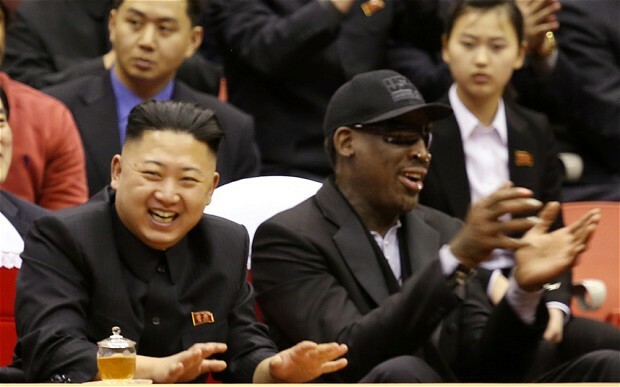 Former Chicago Bulls Forward Dennis Rodman became the first US citizen to meet DRK Supreme Leader Kim Jong-Il, and in doing so, he set a standard for international solidarity that the US Left should learn from. Fox News, CNN, the BBC, and a host of other Western news outlets were aflame yesterday – no pun intended – after a representative from the Ministry of Foreign Affairs of the Democratic People’s Republic of Korea (DPRK) said that their country would launch a preemptive strike against US aggression. The sensationalist headlines kicked into high-gear, with Fox News reporting, “‘North Korea vows nuclear attack on US, saying Washington will be ‘engulfed in a sea of fire. '” Almost 60 years after the armistice that ended the Korean war, the US media seems more eager than ever to make people believe that a nuclear strike by a small, partitioned nation is likely.